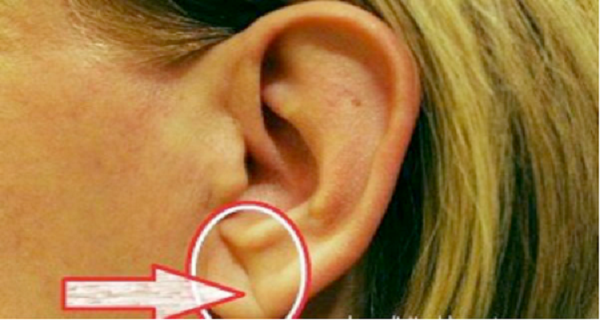 Look at the Mirror and Find Out if You Have This Unusual Sign on Your Ear! It is Linked With a Serious Disease! -Frank Sign is a diagonal ear lobe crease (ELC) extending diagonally from the tragus across the lobule to the rear edge of the auricle. The sign is named after Dr. Sanders T. Frank. Dr. Frank was the first who has noticed it in 1973 and worked on the thesis of a possible connection between this sign with the development of atherosclerosis and cardiovascular disease. Based on his observations, over 40 studies are conveyed which have shown that this sign is a possible indicator of heart disease and diseases associated with blood vessels. -The first group of patients, group A, which had Frank’s sign. -Second group of patients, Group B, without the sign. The study showed that 73% of the participants with Frank’s sign had an increased risk of cerebrovascular disease. In addition, 30% of the patients who didn’t have this sign had an increased risk of cerebrovascular disease. The researchers concluded that the results showed statistically significant correlation between the Frank’s sign and the potential risk of cerebrovascular disease, stroke and brain disorders related to damaged blood vessels.